The Carbur 2 is flat out the fastest and most effective means of sharpening a cabinet scraper I have ever used. One polished carbide rod is cylindrical and functions like a normal burnisher, the other is triangular with a tiny radius on the edge which intensifies the pressure, ideal for thick scrapers and scraper plane irons where a more aggressive cutting burr is desirable. Both are extremely efficient so you get better results in less time and with much greater control. The sturdy cast aluminium handle incorporates twin guards to keep your fingers away from the sharp edge of the scraper. Supplied with comprehensive instructions and a nice leather wallet. Got mixed results with a traditional burnisher. Decided to give this one a try, and was not disappointed ! Easy to use and consistent results time after time. Really happy with it ! I've had varied results before using other options but none matched the Arno. Following the simple instructions, within 3 minutes I had a big grin on my face as the scraper peeled off shavings from some narly beech. I struggled to get a good finish on some open grained oak. In my desperation, I ordered this Arno burnishing tool, and cabinet scraper set also, and followed the instructions to producing a competent bur on the scrapers. In a few short minutes a really super finish was attained! I can finally use my scraper! After struggling with traditional burnisher, I almost gave up on ever being able to turn a decent burr. When I saw this, I thought I'd give it a go. I got a perfect burr almost instantly and have been using my scraper quite a bit! Thanks! I use scrapers regularly, but was never able to get a consistent edge on them until I bought this burnisher. It's excellent. I recently bought a second to pass on to a friend. Can't believe every cabinet maker hasn't got one of these. They need better marketing because as soon as I'd used someone else's i went out and bought one. In comparison to using my old burnisher. Well, there is no comparison. One does the job easily, the other knackers your hand out. Brilliant! 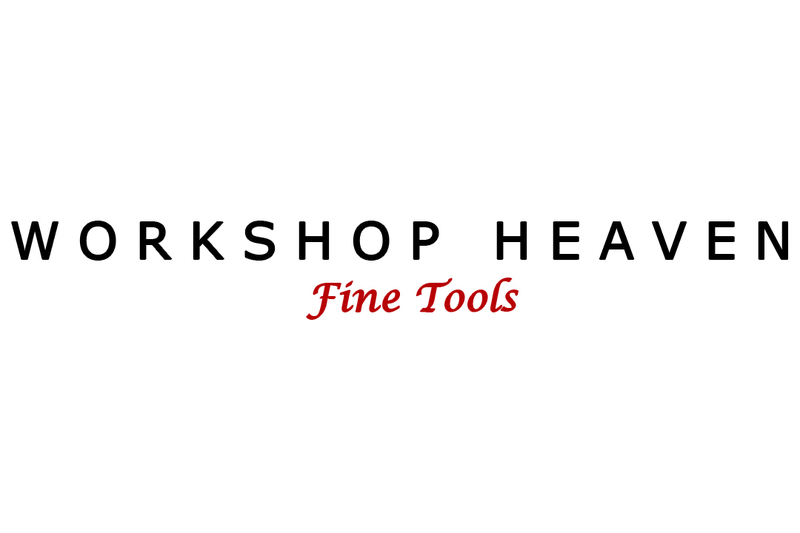 Workshop Heaven delivered the burnisher the next day. This little burnisher has transformed my cabinet scraping. That is no exaggeration. The speed with which a good cutting burr can be established and maintained with the Arno is second to none. The best money for the shop I've spent in a while. After seeing the Wsh video, I placed my order straight away. It is an excellent product.